This classic polyester atarah is a cloth neckband designed with the Hebrew blessing that is traditionally recited before donning a tallit. It is embroidered in an elegant Hebrew font. 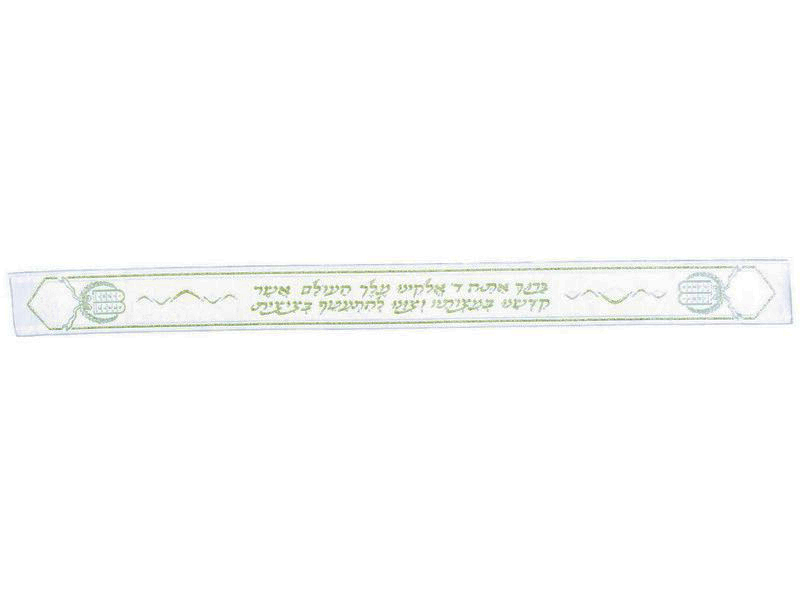 The blessing translates into English as “Blessed are you, Lord our G‑d, King of the universe, who has sanctified us with His commandments, and commanded us concerning the mitzvah of tzitzit”. The atarah is also decorated with the Tablets of Stone, Luchos.